Nancy Cronin made this little guy....isn't it the cutest thing? 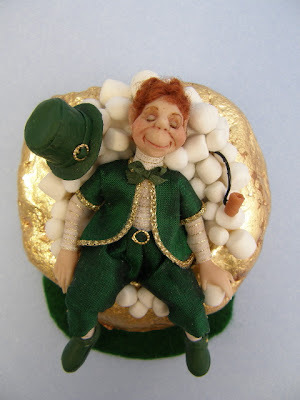 He is a "Lucky Leprechaun"
What a cute guy ! And great to find Nancy again, we meet several years ago when we did the first online shows. Have to search her site !! !